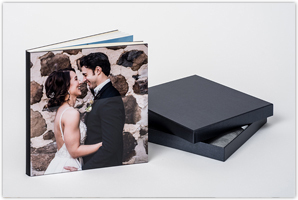 AsukaBook offers 6 color press printed coffee table books and photo albums to professional photographers for weddings, portraits, commercial projects, and more. 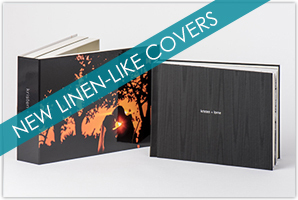 Take a moment to discover the exceptional features of AsukaBook's line of books. Our most popular album. This is our contemporary twist on the classic flush mount album. 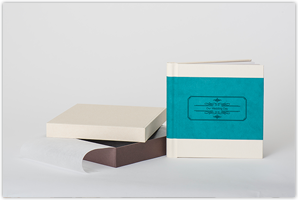 It comes with a beautiful presentation box, thick board pages, and designable cover options, or choose from a variety of other materials. 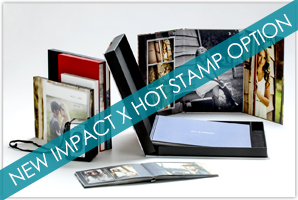 These sophisticated and stylish layflat albums have a designable hard cover with metallic sheen and acrylic overlay. Choose between thin or board pages and a black spine (graphite pearl lift-top box) or cream spine (white pearl lift-top box). This album's cover features an ivory, suede-like material with a wide colored accent band and optional embossed text and frame. 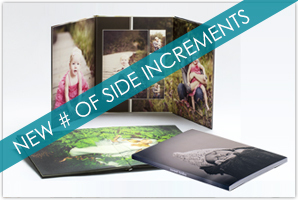 It has medium weight, board-mounted pages and is packaged inside a sleek, beveled lift-top box. 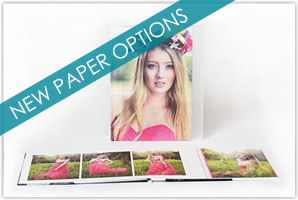 The Art books are available in hard or soft cover options with art paper. The hard cover boasts elegant ivory or white pages and layflat binding, while the soft cover has white pages and traditional book binding. Our Zen line has something to please every client. 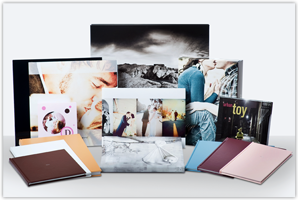 This broad array of books and folios are available in a large selection of sizes, include magazine-style pages, and offer a variety of cover and case combinations. These books are available in many cover and packaging options, and all include magazine-style pages and standard book binding with a high-end feel that is reminiscent of fine art coffee table books. The Vista boasts full panoramic layflat spreads from the beginning of the book to the end, without the standard first and last page. It is available with a fully designable hard or cushioned cover. This book comes packaged in a frosted plastic slide-in case. Rounded corners, full spreads throughout, and thick, board-mounted pages make the Curve different from any other AsukaBook. 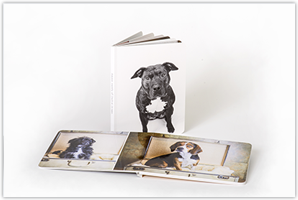 Offered in four sizes, this layflat book's fully designable hard cover and inside pages are available with a glossy or matte finish.